VALPARAISO | Valparaiso University student Tatiana Zambrano will never forget the life-changing day she entered the Puerto Rico Youth ChalleNGe Academy. She arrived on campus ready to shed the negativity that was draining her interest in school – and in life. It was also the same day her father was diagnosed with liver cancer. “Adjusting and getting on track was very difficult at first, but I quickly learned that with determination, perseverance and trust in myself, there were no limits to what I could accomplish,” said the San Juan native who left her country after graduation from that Academy, taught herself English, and enrolled in Valparaiso University to better her life and that of her financially strapped family back home. In the ChalleNGe Program she not only obtained her high school diploma but did so with high honors. For the first time, discipline and structure became a crucial part in her playbook for daily living. And, in the sometimes challenging process, Zambrano realized that anything was possible if she kept her resolve. She found that indeed she could be productive, achieve her goals as well as prove wrong all those who doubted her ability to succeed. 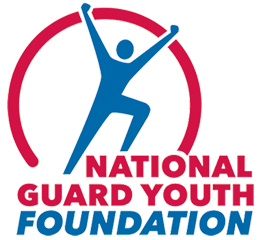 On Tuesday, Zambrano will be among Congressional leaders, and celebrities including MLB Hall of Famer Johnny Bench, country music star Randy Houser and NASCAR’s Dale Earnhardt Jr. in Washington, D.C. as they honor thousands of Cadet graduates and the success of the National Guard Youth ChalleNGe Programs that give second chances to at–risk youth. To date, ChalleNGe has helped more than 120,000 at-risk teenagers graduate from high school and turn their lives around.